Just one play changes a win to a loss. One throw, one catch. One stop. Single plays throughout the course of a sixty-minute, sometimes longer, game mean all the difference. These plays separate pretender from contender. These plays build a champion. On Sunday, the Miami Dolphins just needed one play from their defense. They needed one stop that is all. One field goal instead of a touchdown. Just one more tackle, one pass batted down, one sack. Any of these would have gotten the job done. That did not happen. If it had this would be a much different column. Going into the Denver game defense was not the concern. No one worried if the defense would do their job. This was a top-5 defense, they had gotten it done all season long. The question was if the offense and more importantly quarterback Ryan Tannehill would do their part. They did and then some. 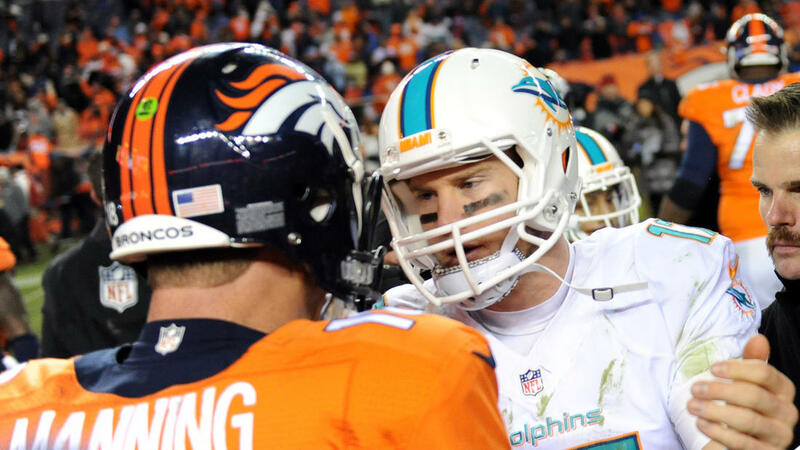 Tannehill went shot for shot with Peyton Manning going 26 of 36 for 228 yards and three touchdowns. The offense scored 36 points, the fourth time this season the team had scored over thirty points. 36 points should have been enough for the Dolphins defense to win two games. Not this time. The defensive line, a strength of this team all season long, rarely pressured Manning. He would go on to throw for 257 yards and 4 touchdowns, three of them to wide receiver Demaryuis Thomas. Even worse they allowed the Broncos to run over them for 201 yards. There were receivers running free throughout the secondary and runners fighting for extra yards. All the Dolphins needed even after all of that was one stop. Just one. The offense had put in its work. The defense simple was not up to the task this day. One stop would have given them a chance. These are the growing pains of a good team getting better. This team has shown that it belongs on the field with the best. Now they need to show that they can beat them, consistently.